William (Bill) Brewer is a past C-suite executive who has worked closely with senior leaders in attracting and retaining highly talented people. He has several years of Executive Search experience as well as 25+ years of corporate HR experience. Bill has held the Chief Human Resources Officer (CHRO) role with three companies which were under the various ownership / investor styles of private equity ownership, private / individual ownership, and public company ownership. Bill is a member of our CFO, Board Services and Human Resources specialization groups. He is also a member of our Life Sciences and Healthcare, Consumer Products and Services, and Private Equity & Family Office practice groups. Bill is an executive who has had the internal responsibility of ensuring the right team is supporting the critical functional areas including Executive Management, Human Resources, Finance, Marketing, Operations, Information Technology / Systems, Sales, Supply Chain, and Legal / Compliance. His corporate career and his executive search career have been focused on working with top talent. Additionally, Bill is the Regional Director for our Human Resources Specialty Practice. Bill consults with boards and CEO’s on assessing and acquiring best-in-class human resources officers. 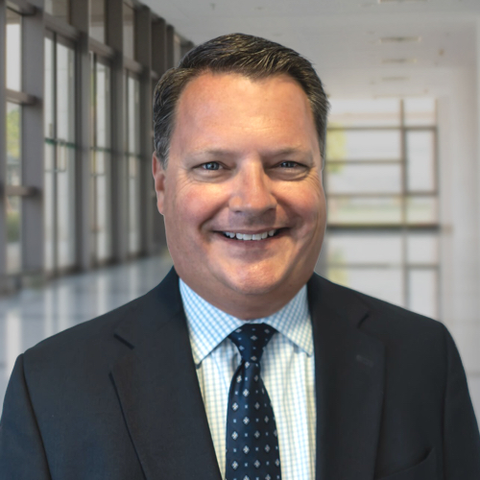 He leads senior level human resources searches including Chief Human Resources Officers, as well as other senior human capital and talent management leadership roles. Bill is passionate in helping his clients field the right team that will significantly move the needle. “Leaders Who Care,” adaptability to corporate culture, track record, and background all goes into fielding the right team. Bill utilizes a wide range of industry connections as well as his knowledge of the industry to find a great slate of vetted candidates for his clients. Prior to moving into executive search, Bill had 25 years of experience in corporate Human Resources. He served in the top Human Resources role for two privately held and one publicly held company ranging from 3,000 to 20,000 employees. Bill’s background includes well branded companies such as The Walt Disney Company, Fluor Corporation, and Epicor Software. The industries he has worked in include Engineering & Construction, Media & Entertainment, Healthcare, Technology / Software, and Business Process Outsourcing (BPO). He has held global responsibilities including expatriate assignment experience. In addition to his executive search career, Bill is an adjunct Professor with the University of Redlands. He volunteers his time as a leader of the Career Counseling Ministry at Saddleback Church. He is a Board member of the Orange County Compensation and Benefits Association (OCCABA). Bill also serves a mentor for the MBA program at the Paul Merage School of Business at the University of California, Irvine (UCI). Bill earned his Master of Business Administration (MBA) degree from the University of Redlands and his Bachelor of Arts degree in Psychology from California State University, Long Beach. He is also a Certified Compensation Professional (CCP) from WorldatWork which focuses on global human resources issues including compensation, benefits, work-life, and integrated total rewards. Bill resides in Orange County with his family.